Once again, we’ve reached the end of the year, and Christmas is right around the corner. That means you will soon start your shopping, which also means you’ll be asking what your friends and loved ones want for Christmas. A lot of the time, no one has an answer, and giving money seems so impersonal. 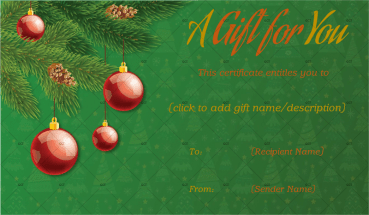 Well, now you have the chance to personalize your gift. 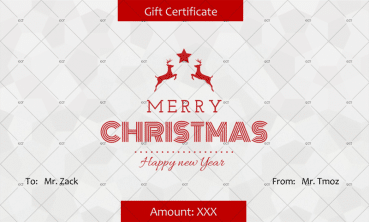 With this Christmas gift certificate you can note the value of your gift while giving the expiration date and other important information. 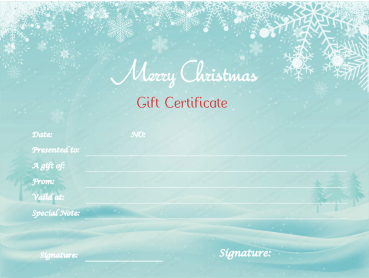 You can also personalize your certificate with your name and your recipient’s. 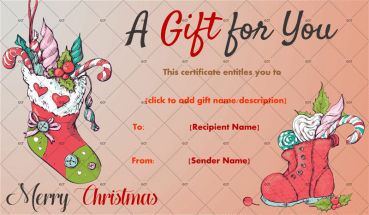 At the bottom of this template, you have text boxes where you can add any additional information about your gift while giving a personalized message. This certificate is perfect for your family members, friends, or colleagues. 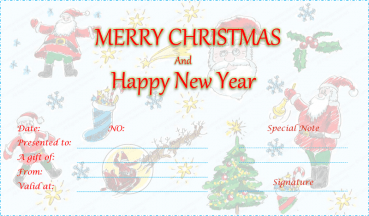 So, choose this or one of these other templates to give your Christmas gift today!